Adorable! Your cut outs are too cute!! Oh my goodness! Love, love, love the nerdy giraffes! Also like the patchwork background paper! Your cuts are just the bomb!! Love the big eyes! Cool photos of giraffes!! Love the design! Absolutely adorable! 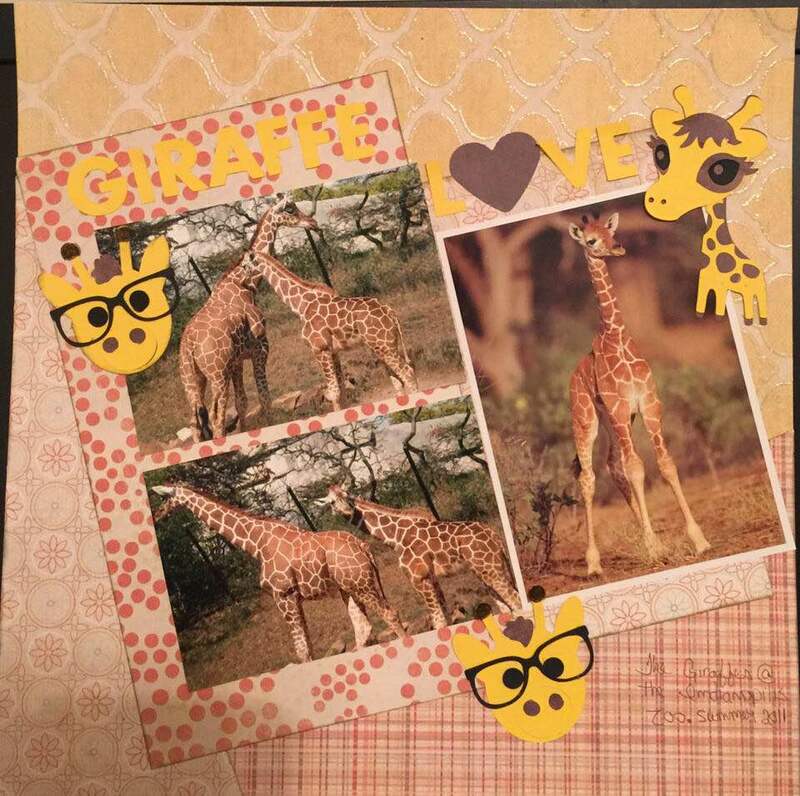 I love the photos of the cute giraffes and the cute giraffe embellishments!